An apparently everyday pizza delivery spirals into an edgy game of cat-and-mouse. Giuseppe Verdi provides the soundtrack for this quintessential New York tale. This is something that you must really not stop watching until the denouement as otherwise you will just not get it! 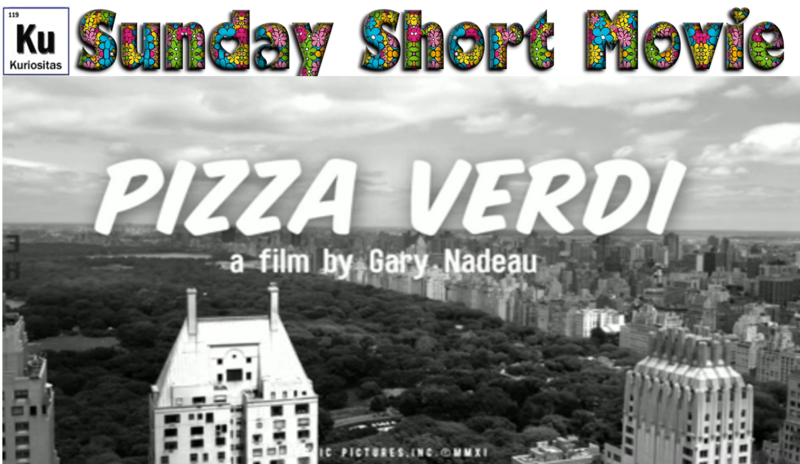 Pizza Verdi was written and directed by Gary Nadeau and stars Marie Zamora and Norm Lewis. In case you are wondering the song Caro Nome is from the opera Rigoletto. Ms Zamora does not simply mime the song either – she actually sings it! This reminds me a little of the old Roald Dahl TV series Tales of the Unexpected where we were consistently reminded to never judge a book by its cover! 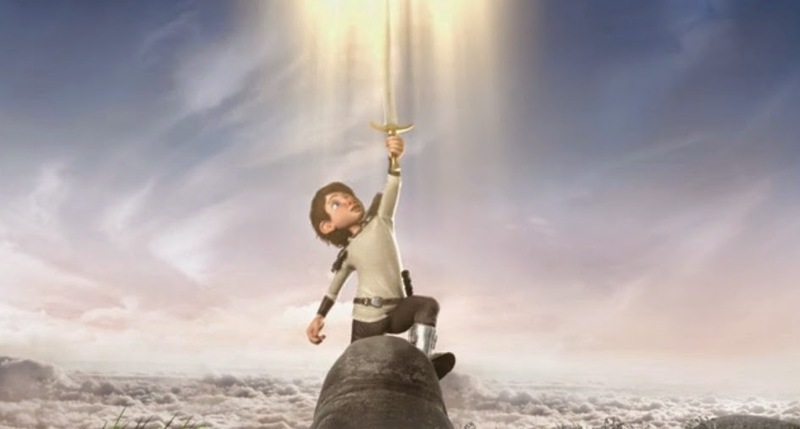 If you don’t mind animators playing fast and loose with much-loved mythology then you will find My Father, Excalibur and Me most entertaining. In fact it is also the mischievous way that it usurps familiar animation tropes that make it such a joy to watch. It was made by a group of students at Isart Digital, something that makes this very accomplished animation even more special than it already is. The city of Chișinău in the Republic of Moldova hosts an air show each year which showcases the best aviation technology in the world. For the 2014 show, filmmaker and photographer Alex Stacanov decided that he would turn the spectacle in to another spectacle. 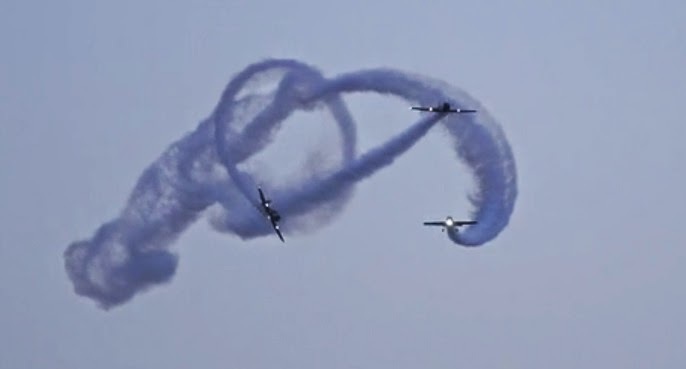 I think he pulls it off – Blue Skies captures the might and majesty of this century’s flying machines and Stacanov manages to create an experimental art film in to the bargain. 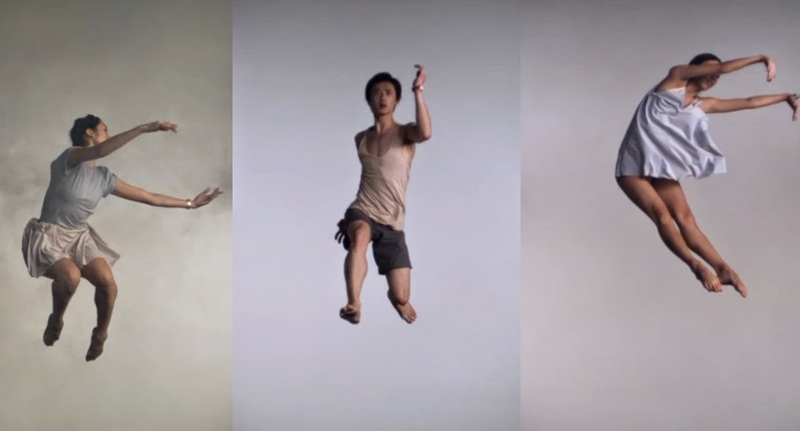 The beauty of this dance video is that it lets the dancers simply dance. It simply consists of a plain background and dancers of the Australian Ballet in full but slow-motion. And that’s it. 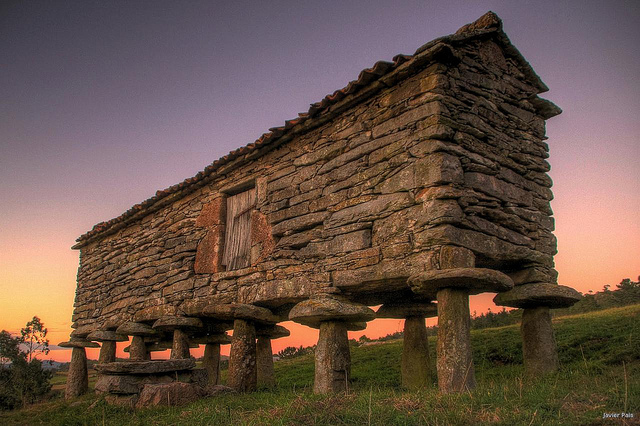 Yet it is a truly mesmerising piece of work – probably because of its simplicity. 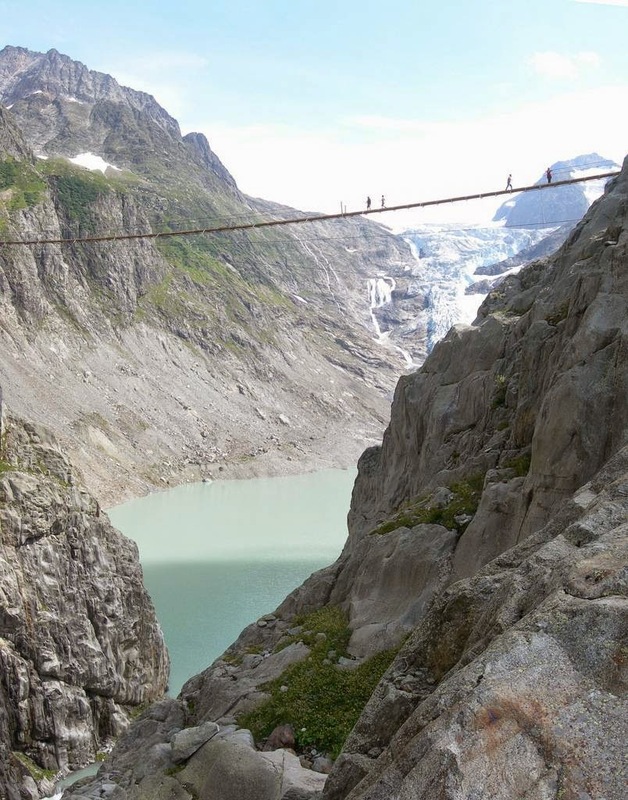 So, sit back and watch – and don’t try this at home (probably best to leave it to the professionals!). I have no idea how far we are away from the introduction of implants which will connect us to our digital world but Cyburbia imagines that this has already happened. A young couple have opposing opinions about hooking up so completely but when a global implant failure happens their friendly disagreement turns in to a desperate fight for life. Cyburbia was created by students at the Vancouver Film School and directed by Arun Fryer. The circus has long ceased to be and its ringmaster, once the center of attention each evening, is reduced to a life of boredom. Then a mysterious invitation arrives, perhaps from one of his old admirers. Yet this solicitation has unexpected results for the ringmaster. 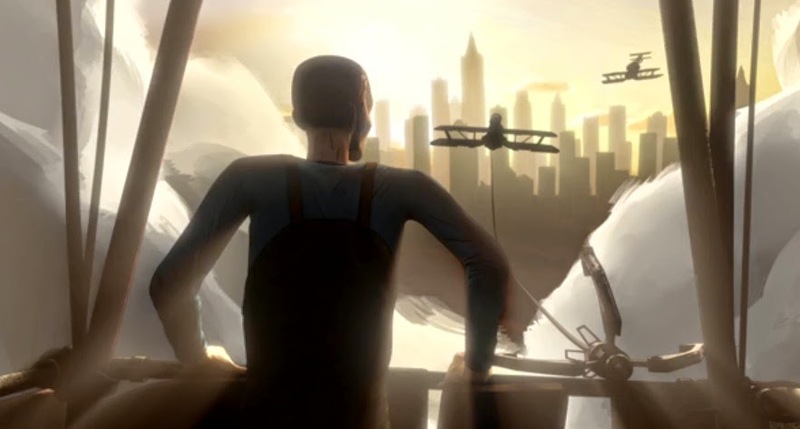 This dark animated short was created by a group of students at Quebec's Laval University. Most Londoners are accustomed to strange sights – part of the daily rhythm of the English capital is the odd and the unusual. 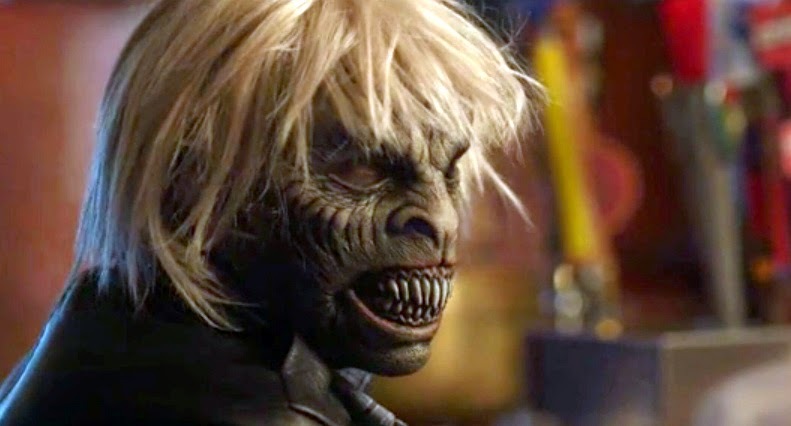 Yet even the most novelty-weary citizens were forced to look twice recently when a mysterious alien race – the Indogenes – made a sudden appearance on the streets of the city. 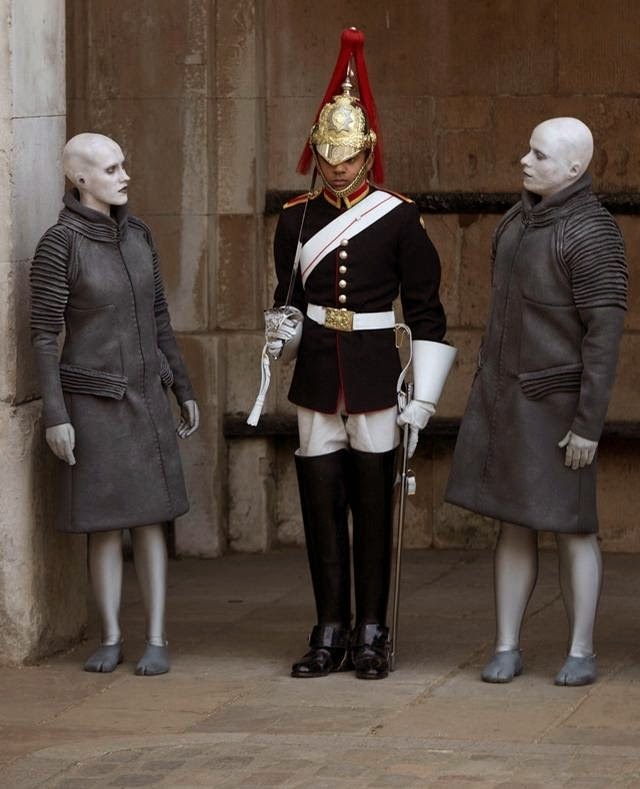 The slender, bald visitors from the Votan star system seemed intent on doing the whole London experience, even though their expressions gave little away as to their levels of enjoyment. 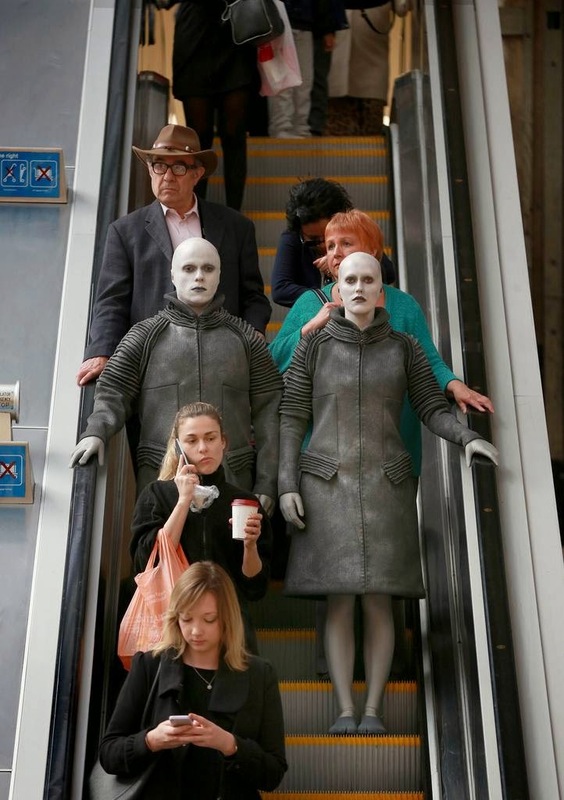 Perhaps they were a little bewildered by the sights and sounds of the city or perhaps their cybernetic implants were overloaded. Either way they took in London with a graceful impassivity. 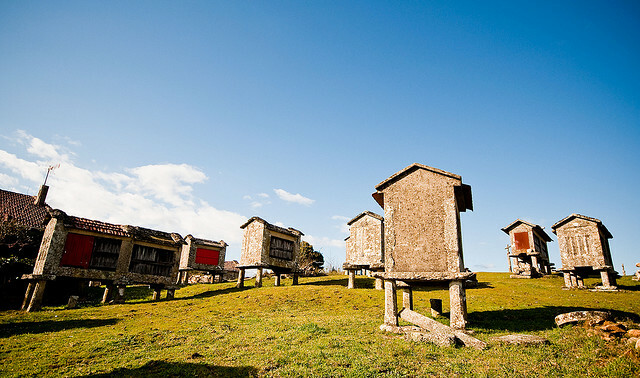 You think we might get tired of dystopic visions here, but not when they're like this. A father and son dream of escape from a totalitarian city, knowing that the green fields of their so-called enemy are finally in reach for them. Yet when escape arrives, is it all that they dream it will be? Greenfields is a graduation movie directed by Luis Betancourt, Benjamin Vedrenne, Joseph Coury, Michel Durin and Charly Nzekwu at Supinfocom. Martin Stirling has created this video about Syria to draw attention to the huge civilian casualties in the conflict. 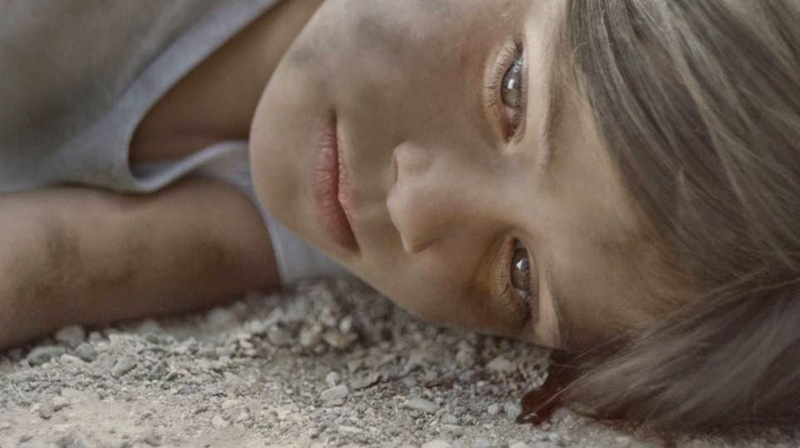 The video offers a unique perspective on the conflict -- replays a bomb attack on a school playground in reverse to draw attention to the problem. This is just lovely – a tale of survival against all the odds. As the Twin Towers fell on 9/11 they buried a pear tree which had flourished at their base. It was not discovered for almost a month and then, slowly, gently, it was nursed back to health from a charred stump to a healthy tree standing over thirty foot in height. This beautiful animation, with the tree given voice by Whoopi Goldberg, forms the centerpiece of a campaign to encourage people to visit the 9/11 Memorial & Museum outside of which the tree stands proud and tall, welcoming visitors. 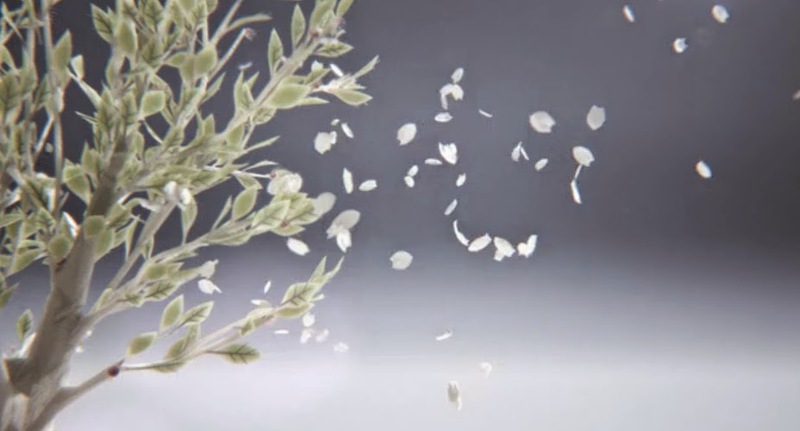 Survivor Tree was animated by Elastic, through the BBDO Agency. As a metaphor for the human spirit and testament to the healing power of caring, it takes some beating. We’re not all about loud bangs, laser guns and space ships at Kuriositas. 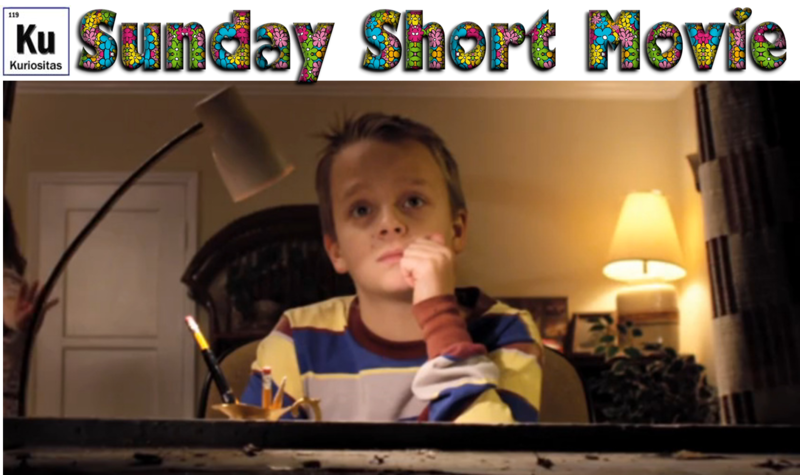 This is a new feature for our readers – a Sunday Short Movie that will be entertaining, heart-warming and perhaps even uplifting while retaining our promise to you to only deliver the highest quality film and animation. So, make a date each Sunday for something quite special. Our first feature presentation is 1982, written and directed by Jeremy Breslau. It tells the story of a blocked novelist reflects on a pivotal year in his life when he struggled for the attention of his bickering parents. It may not, from that description, sound like something which will warm the cockles of your heart, but trust us! If you would like to get involved with the next project by the team behind 1982, then you have a short time left to join in the fun over at the Kickstarter page of The Chaplain. 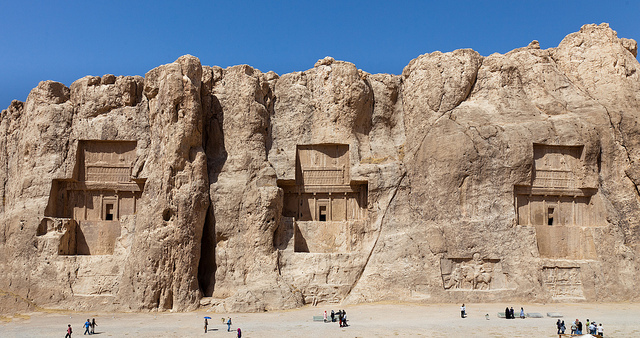 Most people have heard of the ancient city of Persepolis in Iran. 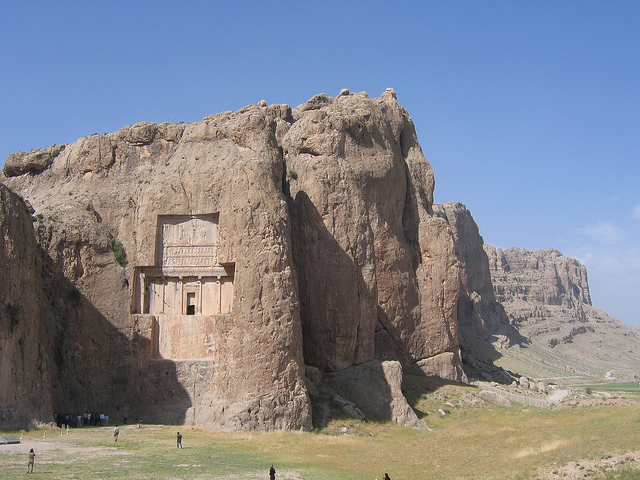 Yet just north of the metropolis of antiquity is a sheer cliff, known as Naqsh-i Rustam. Here, in the second millennium BCE, work began on a quite staggering series of rock reliefs which – even today – have the ability to awe in terms of their size and the staggering amount of work which must have been involved in their creation. Phantom of Scotland: the title of video is not in reference to the result of the recent vote for independence in the country although for as many relieved voters there are almost as many who will be disappointed. 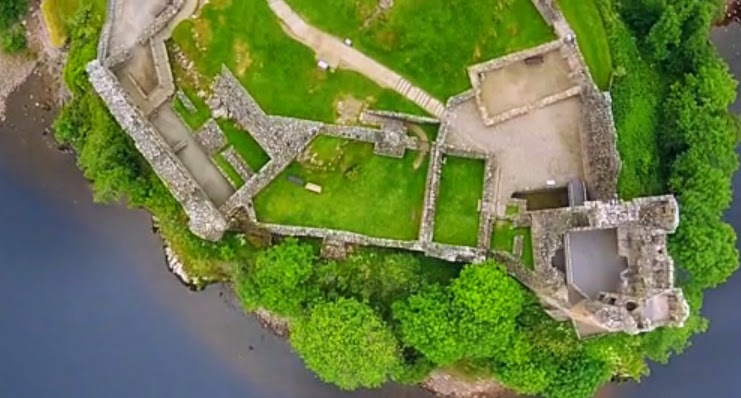 Rather it refers to the DJI Phantom Vision 2 + used by Sulaiman Sibai to capture the grace and majesty of the Scottish landscape from above. 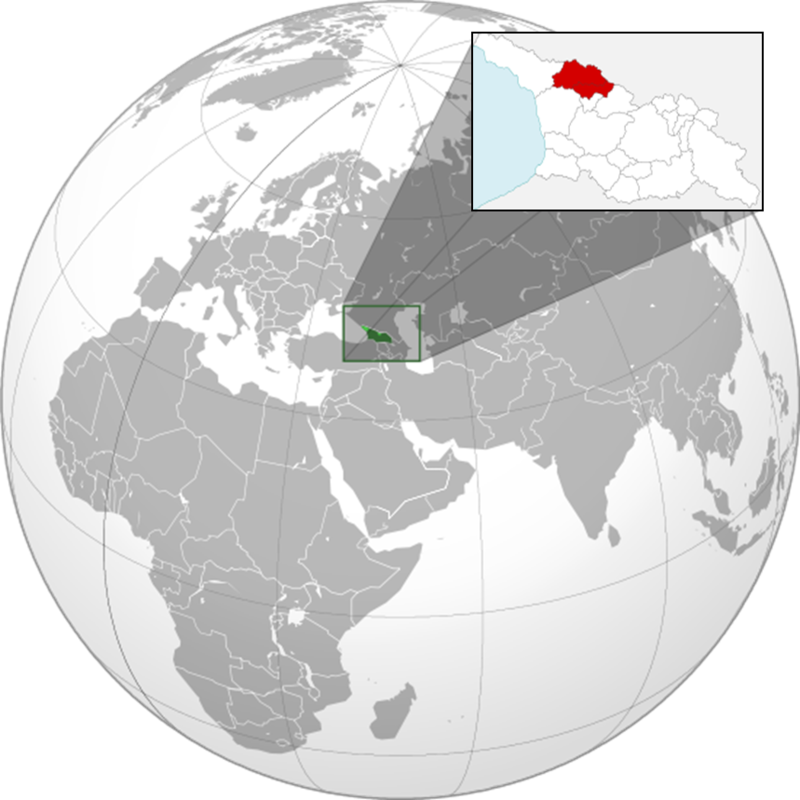 Visually stunning – a nation discovered in all its glory –and one that can settle its internal differences democratically and without Uzi 9mms, unlike a number of other countries I will refrain from naming. One day, a sloth, living the slow life in his tranquil forest is thrown into a big city where everyone lives at, what seems to him at least, ultra-high speed. Can he survive the hustle and bustle of the teeming metropolis and get back to the quiet life? Well, what do you think? However, he does get a few shocks along the way in this entertaining animated short by Jang Wonjin at EMCA. Two friends get together for a drink but as they just happen to be monsters they find that they are bullied by the local humans (particularly the one played by Seth Rogen). It even prompts one of them to consider plastic surgery so he can look human and fit it. James Franco plays one of the monsters with Mike O’Brien as his buddy. Funny, yes but thought provoking too. L3.0 is alone. The streets of Paris have long since ceased resounding to the clamor of humanity and he is left to his own devices. He spends his days writing notes on paper planes and jettisoning them over the city in the hopes that they will attract some company for him. Yet one day something happens – he meets a living being and we finally learn the reason for Leo's solitude. 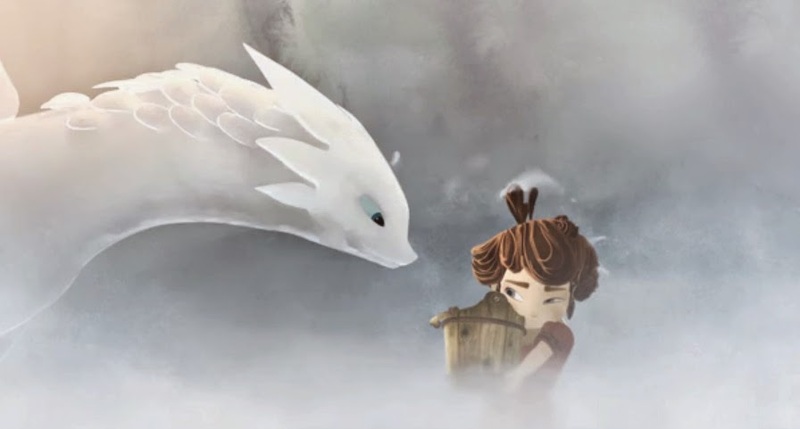 This animated short was created by a group of students at ISART Digital. 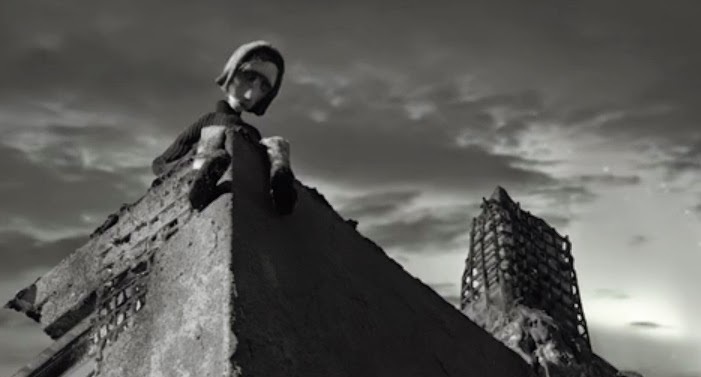 This short film says an awful lot about the nature of modern martyrdom. Envoi (meaning the verse or stanza which concludes a ballad) was written and directed by Jeremiah Gonda and Adrian Traurig. A musician, opposed to the totalitarian regime under which he lives, makes a final broadcast to his fans after the execution of his band-mates. As well as being a pertinent slice of science fiction it has more than a little relevance in today’s age of web broadcast executions. In so many lives there is a point at which terrible news is imparted. Then it’s coming to terms with it and trying for a positive outcome. In terms of news about the imminent shrugging off of this mortal coil, how can death ever be healed? Here, a terminal patient comes to terms with his past and his transcendence through the infinite and redemptive power of music. 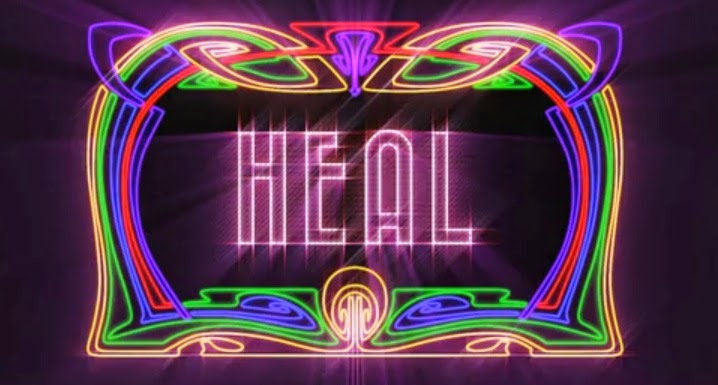 Heal was directed by Fernando Leal with music and lyrics by Nick Schinder. 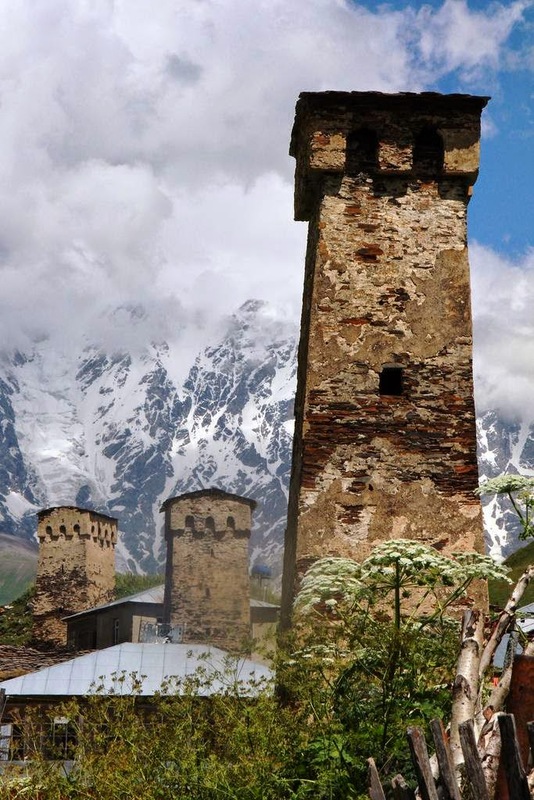 Encircled by peaks of up to 5,000 meters, Svaneti is the highest area in the Caucasus mountain system which people have settled. 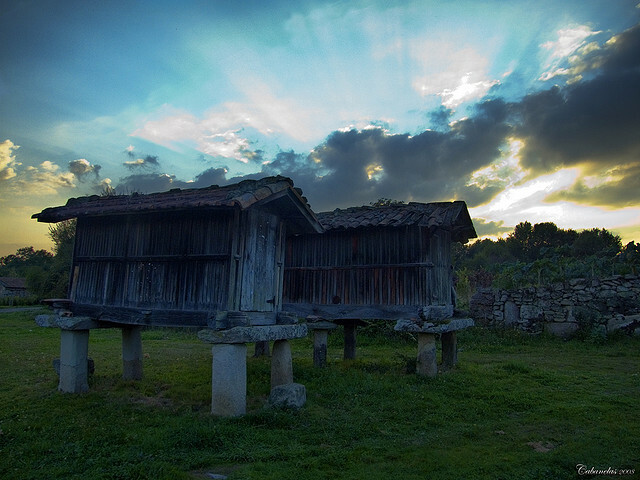 In a land dominated by mountains divided by deep gorges, the Svan people settled this historic Georgian province almost two millennia ago and here they flourished. 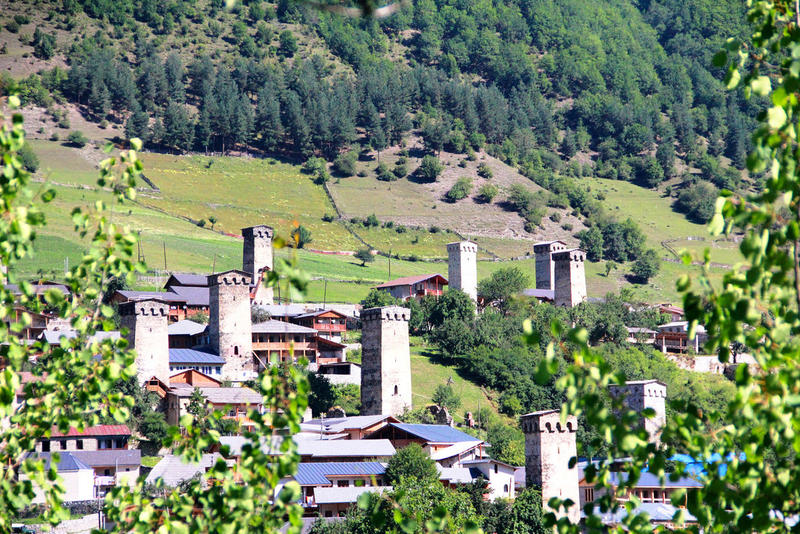 Yet towards the end of the European Dark Ages, at around the end of the ninth century, the Svan found themselves in conflict with the northern Caucasian tribes on the other side of the mountains and with the Ossetians to the east. Their solution to tribal raids has endured the centuries. 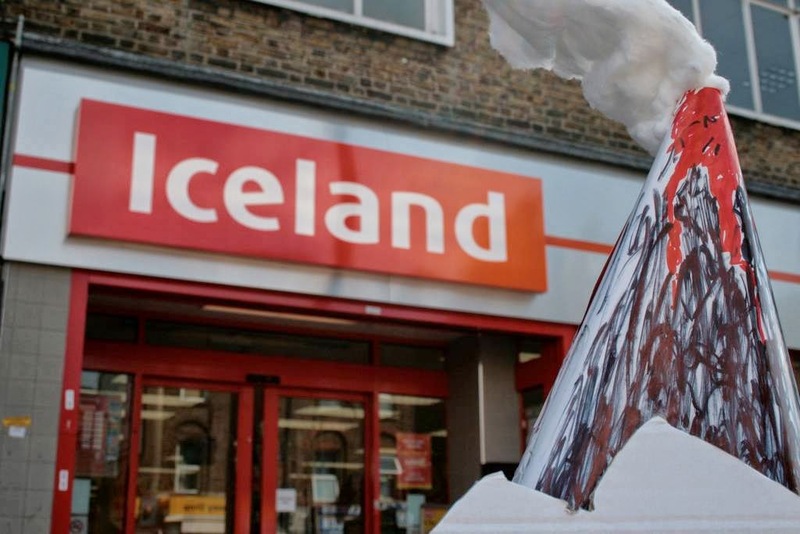 (For those of you outside of the UK, Iceland is a supermarket chain which specializes in frozen food – no irony intended by the owners, we are fairly sure of that). Never say that the British want to be left out in the cold when it comes to foreign affairs, eh? Now, thanks to photographer Paul Miller, they finally have a volcano to call their own! Visiting Amsterdam should always be a pleasure and this time-lapse and hyperlapse by Jack Fisher captures the city beautifully. 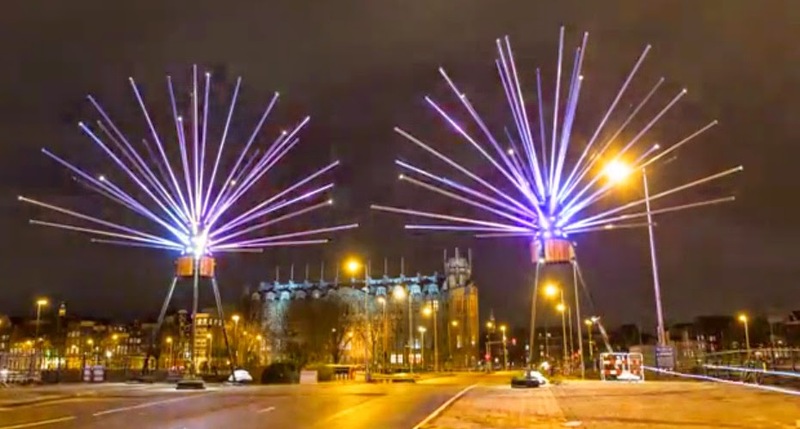 It was filmed at the end of last year and in the film are a number of exhibitions from the city’s annual Light Festival. I particularly like the trip up the city’s canals in the evening which while usually a more languid experience are captured here at an almost breath-taking speed. Film students are always, always told by their tutors to avoid certain things but, quite often, they fall in to the trap of misusing and abusing any number of tired and not-to-be-trusted movie making tropes and mistakes. The list might include tedious on-screen text expositions, filming on campus, using friends as actors – and many, many more. 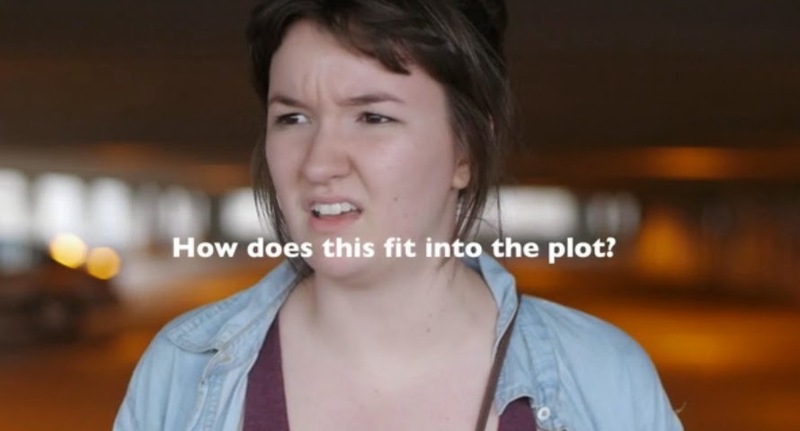 Laurel Powers, a student at Columbus College of Art and Design decided to make a musical short filled with all the student film clichés she could come up with in just under three minutes. There may be more errors of judgement to be made than just those that appear in A Student Film (although there are quite a few) but she enters in to it with something approaching mischievous glee (quite infectious too) – and one can only hope that was how her professors received the final piece. After all, to render the unoriginal fresh once more is something of a feat - and we can all list professional directors who can't seem to manage it (or are too lazy to do so) - so hats off to Laurel. 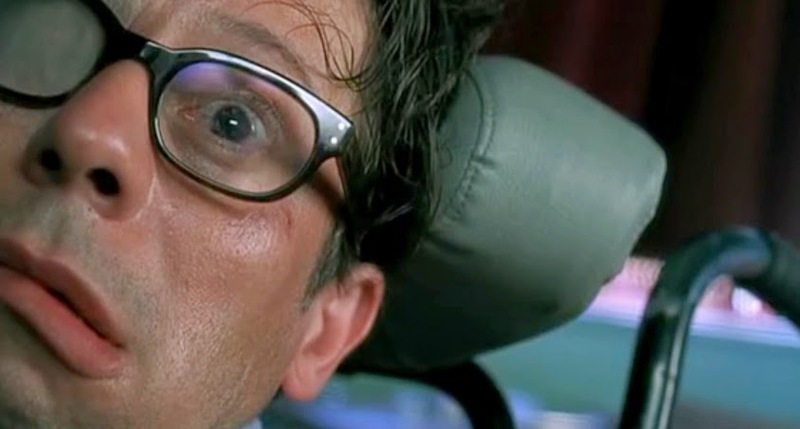 This is a very cool montage of eyes in the movies – I had some fun trying to name all of the movies these very short clips are from (I don’t think I got even two thirds of them!). However, it is made even cooler by the fact that it was edited by Bob Joyce for the Society of Camera Operator's Lifetime Achievement Awards in 2012 to benefit the Vision Center at Children's Hospital Los Angeles. If you might not get the opportunity to visit Cutty Sark, the British Clipper ship which is preserved as a museum ship in Greenwich, London, then this will get you a little closer, at least imaginatively. 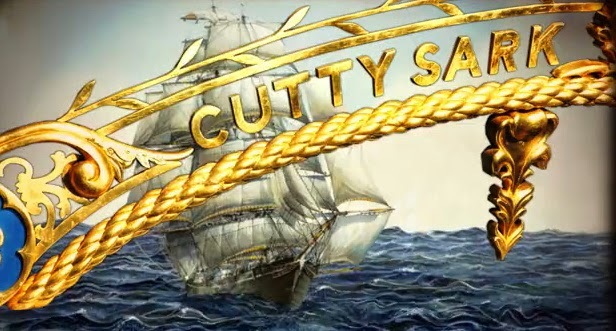 Created by Beakus director Steve Smith for the Cutty Sark, it tells the story of the ship’s years of service as a tea and wool cargo ship, and its record breaking round-the-world voyages. 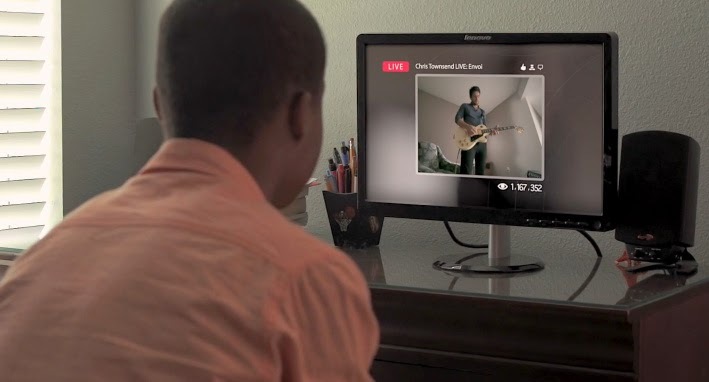 It will screen on a loop in the actual ship's lower hold from September 2014. This beautiful and poignant insight in to the mind of a child is something quite special. The moment when the immaterial is desired but cannot be possessed is pivotal in the development of self-awareness. This is captured, perhaps as it should be, without words - how, after all, can one express a glimpse of infinity with sound? It was written by Jih-E Peng and Guy Pooles. As one commentator has very nicely put it, this film is nine thousand, three hundred, and sixty frames of something we can never have again: a child's innocence. A young boy, alone and terrified, realizes that his high shelter is about to fall. 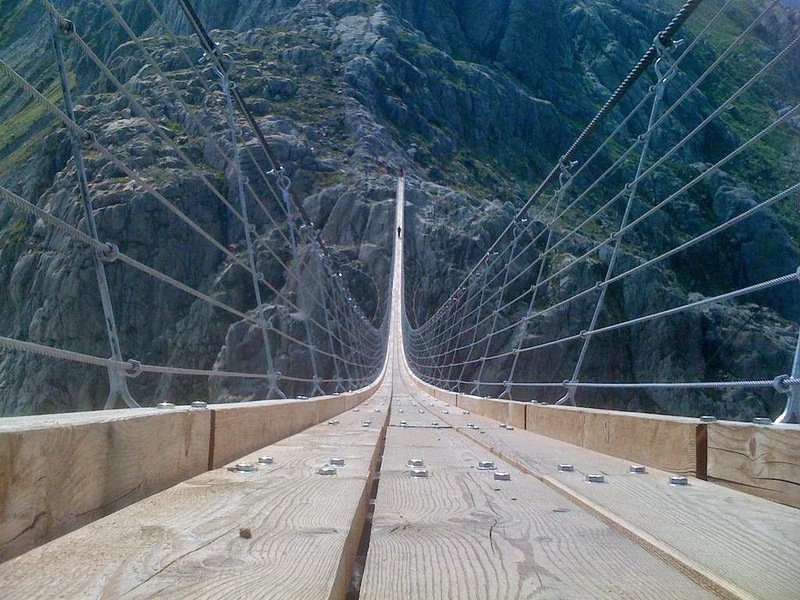 Yet what waits for him below is perhaps even more terrifying than his predicament. 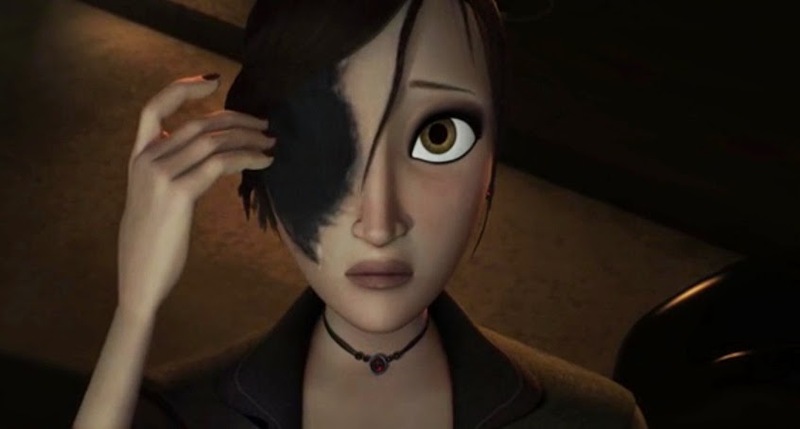 This stop-motion short about loss, fear, survival and hope in a dark and foreboding world was co-written, directed and animated by John Eyre and Robin Heap. It’s great that filmmakers can still leave things to our own imagination. Jessica Rabbit lays it all bare about what came to pass after the cameras stopped rolling – and the years have not been kind. 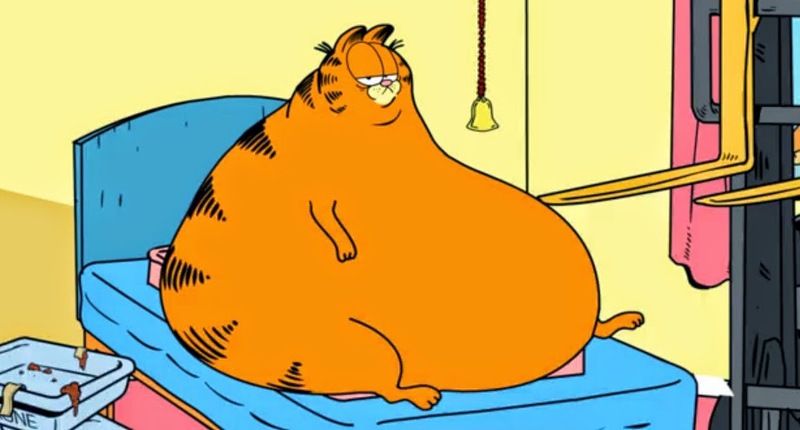 As well as Roger and Jessica (plus daughter...), we get to see what happened to a number of 80s cartoon icons, including Garfield and He-Man. Where Are They Now? is the new short by animator Steve Cutts, a London based artist specialising in animation, illustration, painting and sculpture. 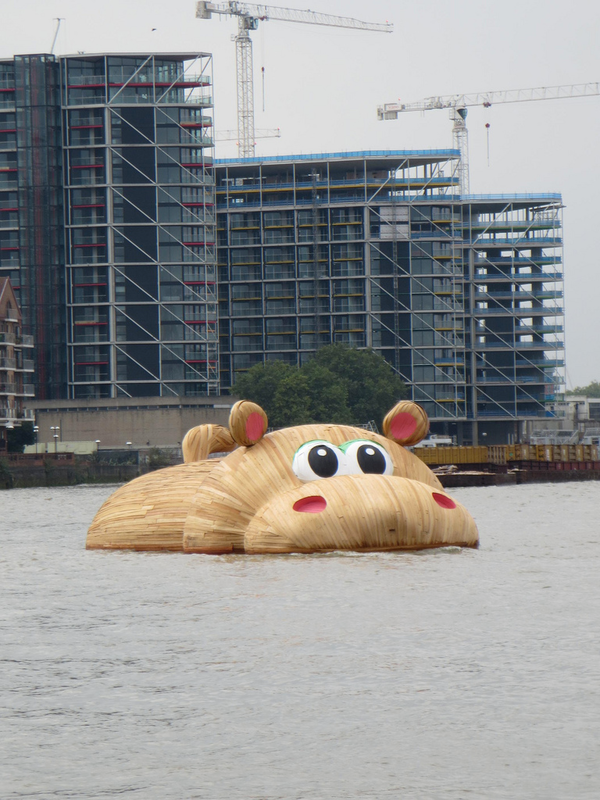 There is usually something new to see in London every day but this week there was a new addition on the River Thames unusual even by the standards of the English capital. There was no need, either, to be particularly eagle-eyed to spot this visitor to one of the world’s most well-known waterways. 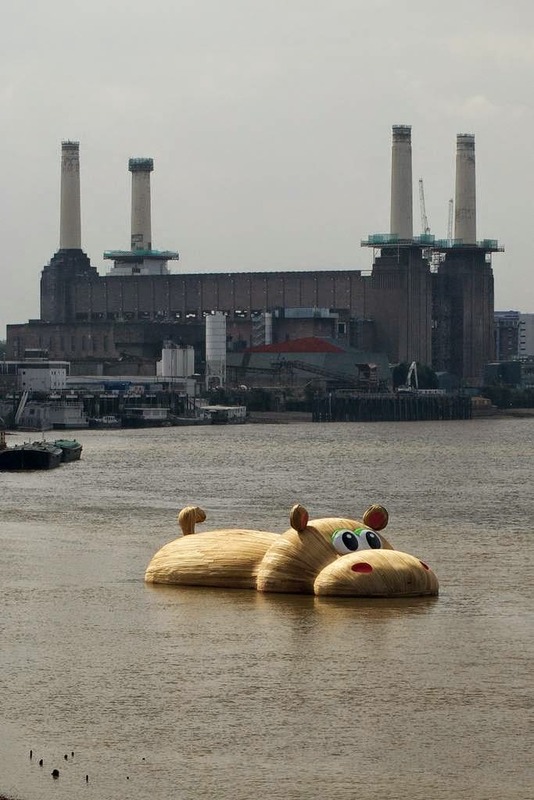 While Battersea’s famous power station is usually associated with flying pigs, thanks to the cover of Pink Floyd’s 1977 Animals album, this week it was a 21 meter long floating hippo which caught the attention of those taking a stroll down the river. 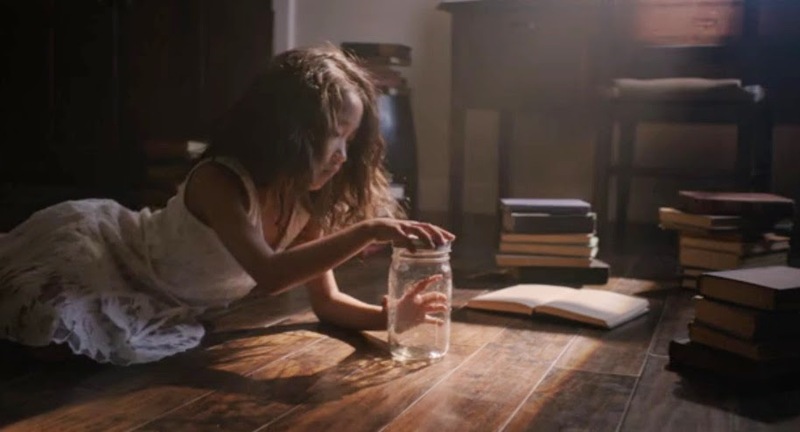 A young girl, alone in the forest, has a mysterious encounter with a strange creature. 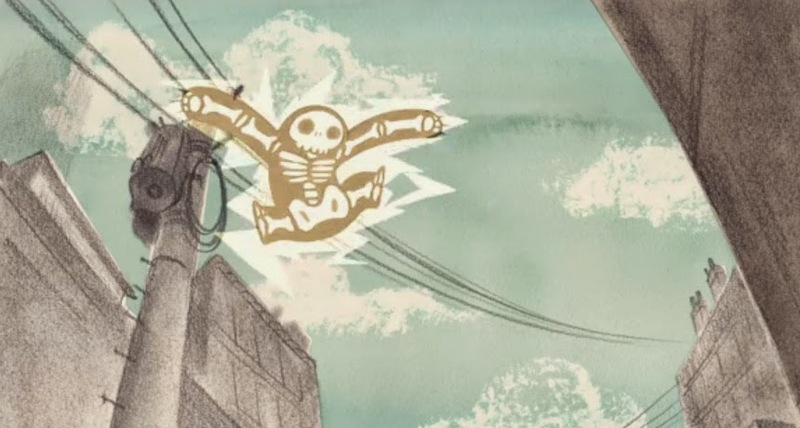 This magical and beautifully produced animated short was created by a very talented group of students from Gobelins: Camille Andre, Marion Bulot, Clément Doranlo, Myriam Fourati, Jonghyun Jungboix, Alexis Kerjoss and Sarah Simon. Again, a superb piece from one of the consistently best animation schools on the planet. What Can You Do When Your Date Turns Out to be a Sloppy Eater? We have all had first dates that have gone wrong but hopefully nothing like this – when the object of your desire turns out to be something of a messy eater – to say the very least. Wasted Night was directed by Joseph Catté and starring Pauline Helly and Joseph Catté who no doubt could not resist the fun that must have been involved in the making of this. 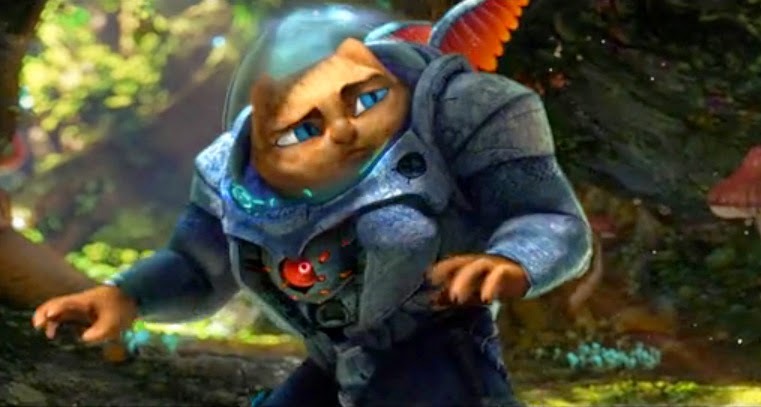 A genetically engineered flying cat (yup) crash lands on a planet only to find that he is surrounded by more even more danger than he has just escaped. Will he survive this new hostile environment? This animated short was created by Liok, a Paris based concept artist and independent film maker. Incredibly it was done with a zero budget but completed through sheer time and love, after two years of work. It was worth it! Many of us do not get the opportunity to watch what we eat grow from seedlings to crop – so here is your chance to see that process, thanks to farmers Adam Burns and his wife (who, Adam admits, does most of the work but doesn’t get a name check!). From the beginning of the season to harvest time, this video is something of a joy to watch – a reconnection with nature. Something has gone wrong with the solar system – so badly wrong that it has been kept a secret from the vast majority of people. 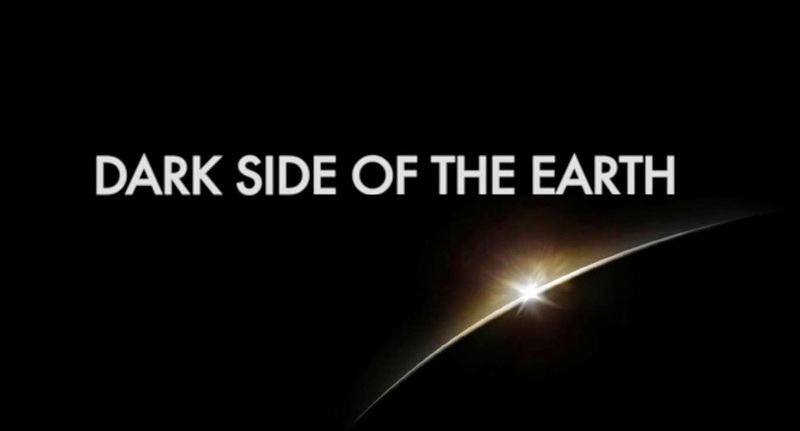 Yet one scientist is determined that the world learns the truth before it is too late. Written and directed by Aćim Vasić, this is very inventively done – a single stream of consciousness from a desperate man on the run with only seconds to get his message out. 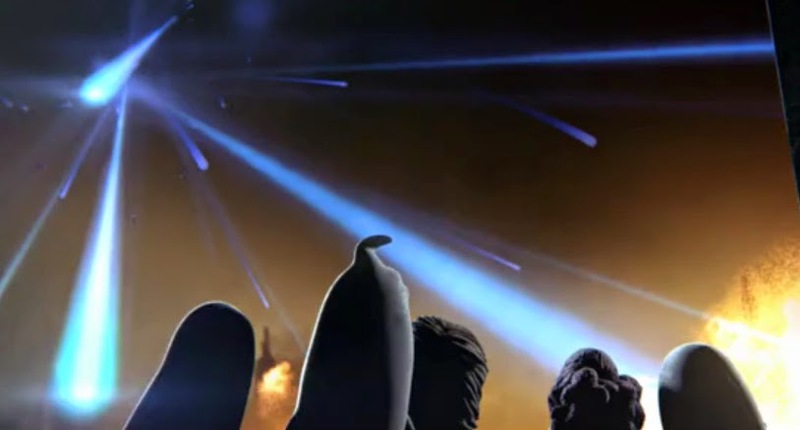 An alien world comes under attack from a mysterious blue substance. The citizens are struck down in their millions, splatted where they stand or run. What is the cause of this catastrophe? Can anything stop its inexorable progress? Made for Channel 4 and Cancer Research UK by Nexus, this is part of the Stand Up to Cancer campaign which is coming up on October 17. A young woman, desperate for help, turns to a private eye in her hour of need. Her problem, however, is not something that he has come across before. Will he solve this case before the same fate befalls him? 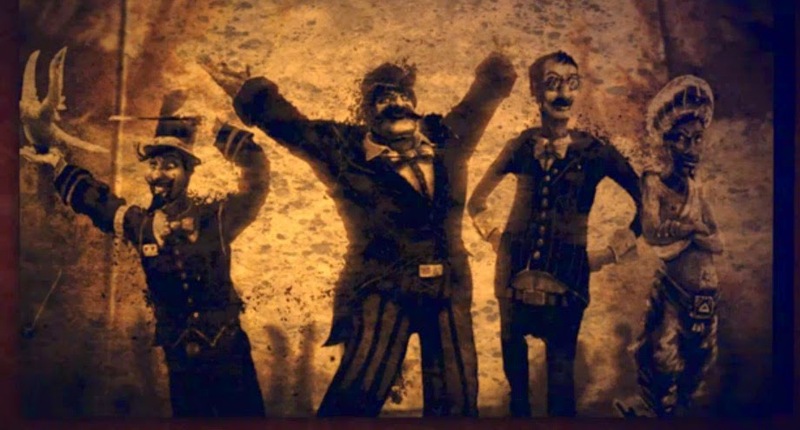 The Face Thieves (El Ladrón de Caras) is a short film made entirely by students at PrimerFrame during their Animation Masters training. Scarecrow Joe is not a very happy scarecrow. He hasn’t got any feet and gets sad when he sees joggers running past his lonely station. Then one day, things change and Joe is liberated – but will his happiness last? 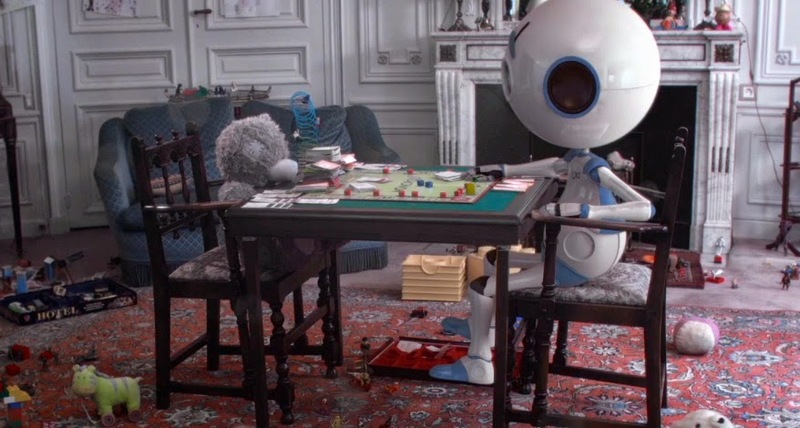 This bittersweet but charming short was created by Sébastien Berna. 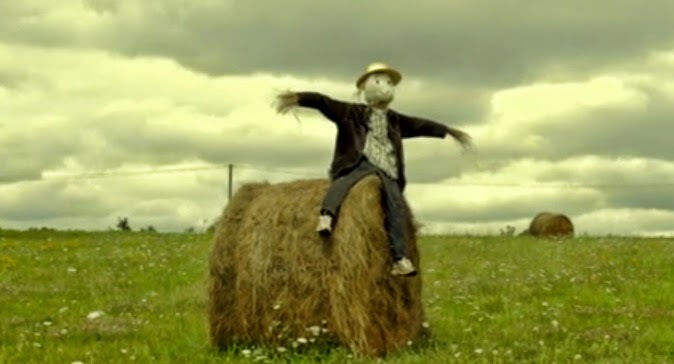 I think it’s probably my favorite scarecrow film of the year so far. They are called the White Helmets and they help – it is really as simple as that. Regardless of religion, regardless of politics, when bombs hit, the White Helmets, aka the Syrian Civil Defence rushes in to offer any assistance they can. 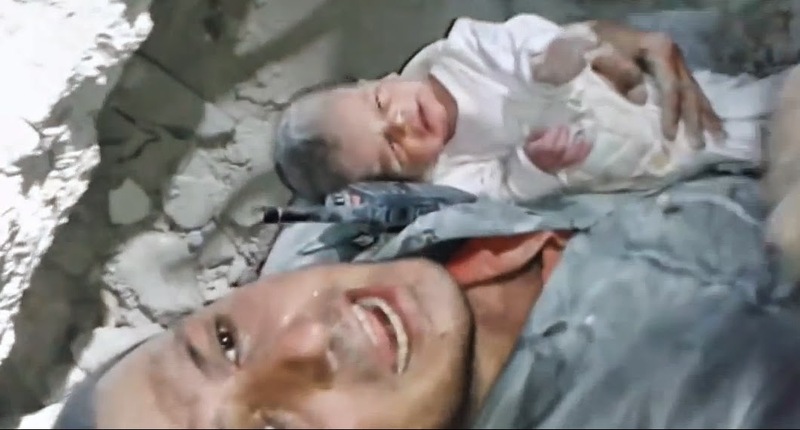 In the video above you can watch Khaled Farah, a particularly brave young man, help in the rescue of a two week old baby trapped beneath a building which had collapsed after a barrel bomb attack. As much as the survival of the baby was a miracle, it was an astonishing feat by the under-resourced rescuers that the continuation of life became a possibility. However, Farah and his colleagues are in desperate need of equipment in a country where public services have fallen apart. Donor governments have millions in existing funds and some of it is not being spent. It seems that the right projects have not been found! If any group needs assistance right now with protective gear, medical bags and digging tools, it is the White Helmets of Syria. You can help out without spending a penny of your own money. The Syria Campaign has launched a petition. Its aim is to get the attention of donor governments, to show them that the White Helmets need our help here and now. Please follow this link to sign the petition and support the White Helmets of Syria (there is also an opportunity to learn more on the site if you would like). It took me less than a minute to do it - but I think it might be the best spent minute of my day.